They will give you a Login and Password for downloading. misses some numbers. So we suggest using the Full Download every 30 days to be on the safe side. as it is smaller and simpler in format. 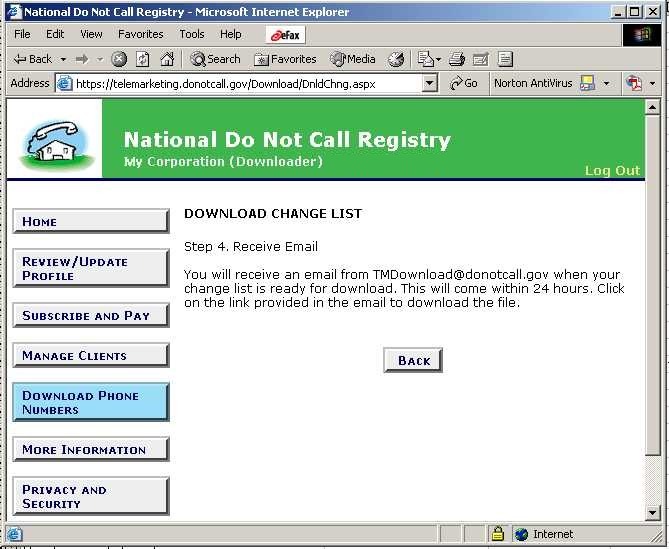 You will receive an email at the registered email address. Check your email and click on the link provided. 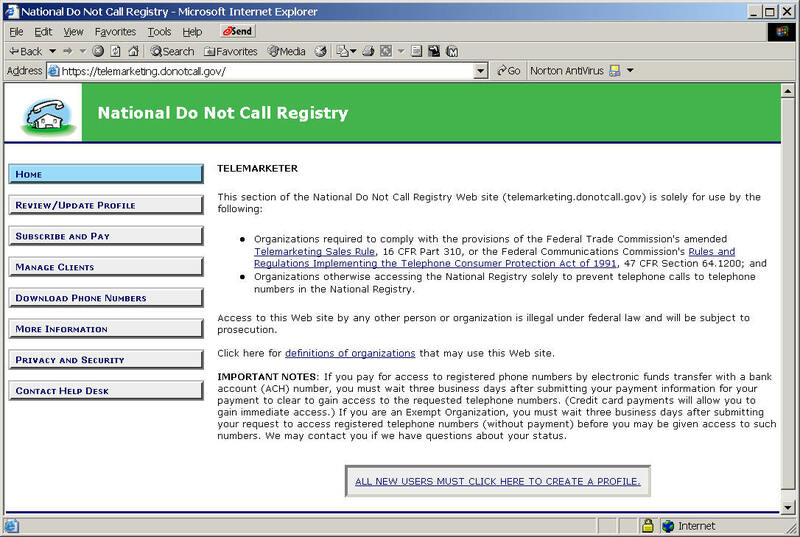 from the FTC's TeleMarketing Download server. since the date of your last download. The file is ready; click on the link below to start the download. 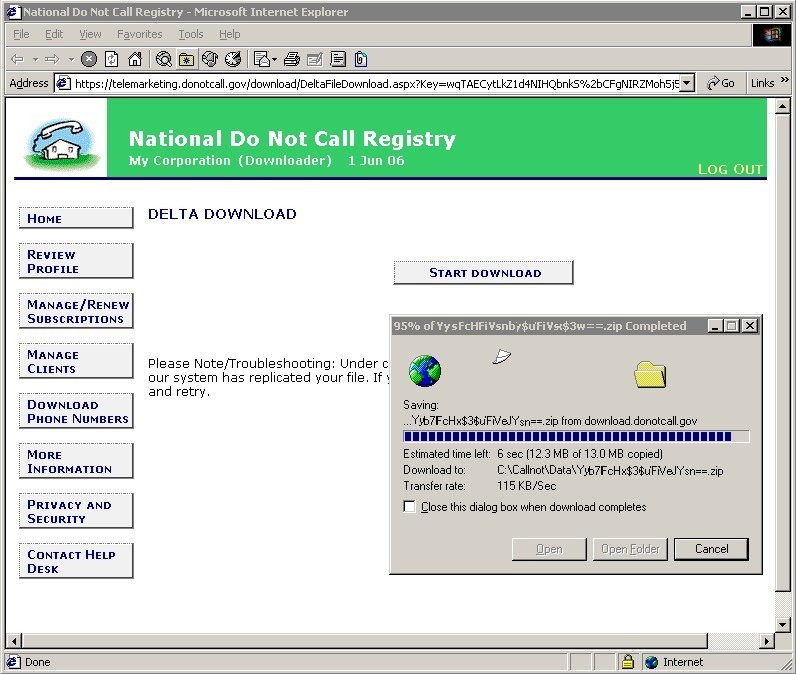 You will need to log in to start the download. 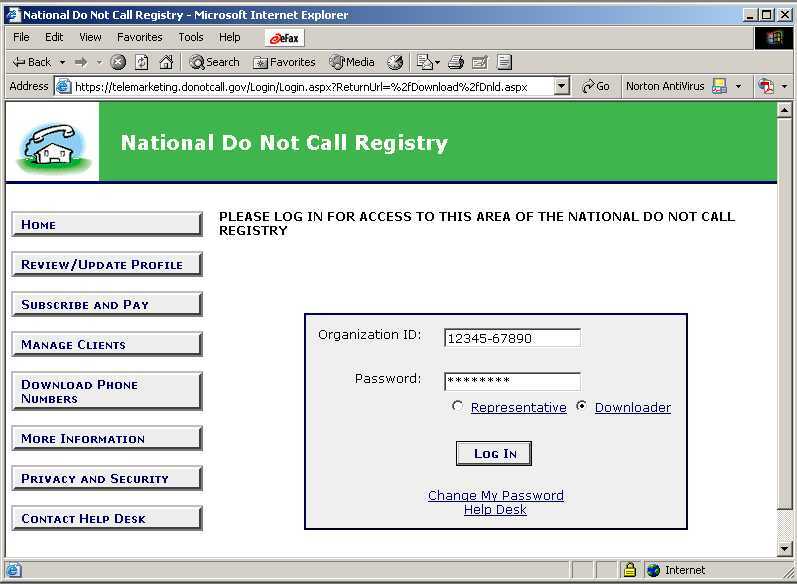 Please use your Organization ID to log in. ink in the email into the "Address" line on your Web browser. Cut and paste the entire link - it's long. Please do not reply to this message as it is from an unattended mailbox. Any replies to this email will not be responded to or forwarded. This service is used for outgoing emails only and cannot respond to inquiries. 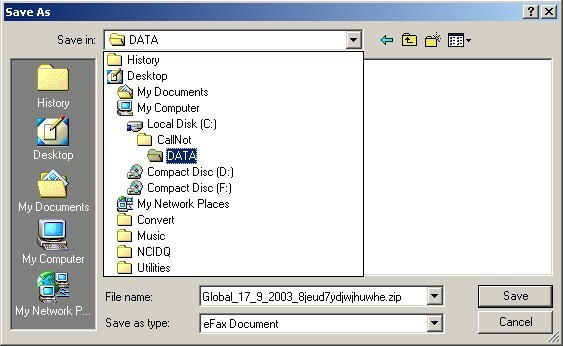 This is the same folder where the DataDemo.Zip file is. Who knows why the FTC names the files this way. Some sort of code we guess. Make sure you have at least 1 Gigabyte of free space available on your hard disk, as it is a big file, and getting larger. 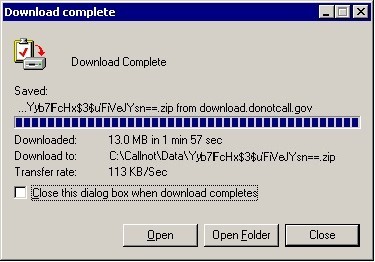 The downloading process may take about 5 minutes, depending on the speed of your internet connection. 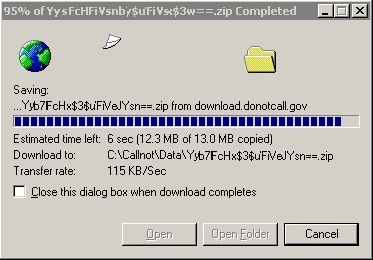 When it is done, you will see the Download Complete message. 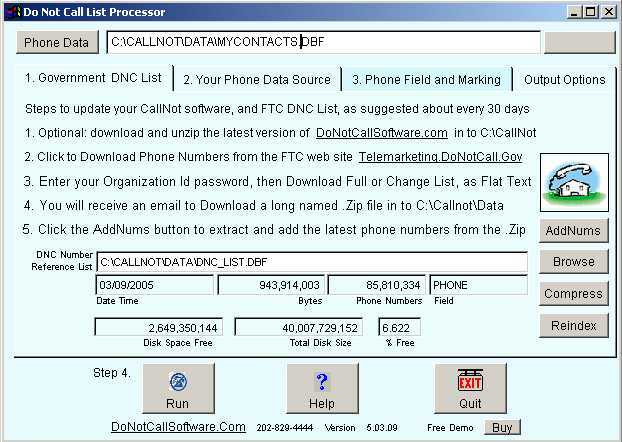 This will automatically unzip the files you download from the FTC to extract the actual file of phone numbers.